There are few events that can give people more FOMO than New Year's Eve. As a society, we're hooked on the idea that an elaborate evening of shaken champagne bottles, fireworks, and reflective outfits will ensure that the best year yet is on its way. However, anyone who has woken up with one hell of a champers headache on 1/1 will tell you that the hype isn't real, and that a dress covered in sequins is actually more scratchy and uncomfortable than festive. So if an over-the-top celebration isn't the best way to usher in 2017, what is? In my opinion, it's a small party at home with some of my nearest and dearest. You don't have to pay a cover to get in, the drinks are almost free, and you can spend the evening in your slippers if you want to. 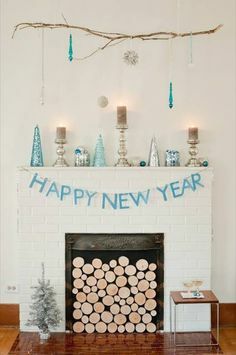 Add a little bit of sparkle via decorations. 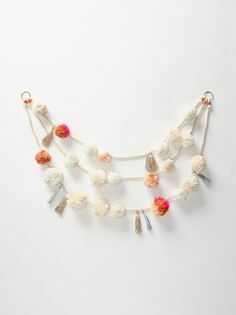 While there's no need to get messy with confetti that will stick around for months, a well-placed garland and a few metallic balloons will give the night a party vibe. Keep the guest list small. Invite people that you genuinely want to spend the evening with, and keep in mind people who might not otherwise have plans for the night. Not everyone wants to spend the evening at a crowded bar, but I bet far fewer people want to spend the evening solo at home. 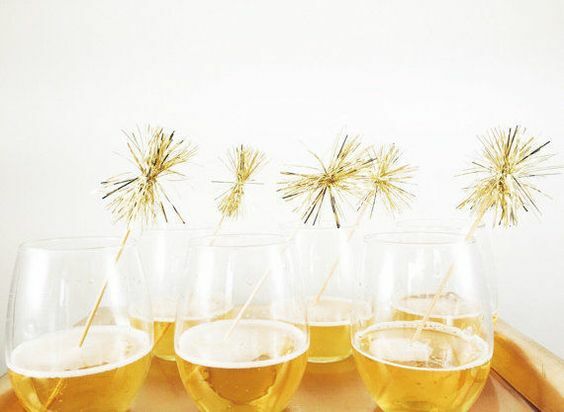 Encourage people to BYOB, but have champagne and beer on hand to toast at midnight. You could even plan a signature drink if you're feeling creative, but keep the recipe simple and something you can easily prepare in bulk ahead of time. You don't want to be tied to your kitchen all night! Turn the TV on mute and keep an eye on the clock for midnight. I love watching the ball drop at midnight, but also want to keep people entertained with games and music (grab a top 2016 playlist from Spotify) over the course of the evening. Have snacks on hand. People should have eaten dinner before heading over, but your guests will inevitably get the urge to snack as the night gets later. I like to stock up on Trader Joe's frozen goodies (mozz sticks, lemongrass chicken sticks) for when the buzzed munchies strike. And that's it! Don't be afraid to make a mess, get a little loud, and enjoy being warm and surrounded by friends as you welcome 2017. 2016 was a little rough (especially towards the end), but a fresh start in the new year will definitely help us all be a little more optimistic.